Announcing three upcoming info sessions on the resources of the Digital Music Lab, in the Music & Arts Library. The Digital Music Lab offers specialized music software, digital pianos, and a large-format scanner. The software enables you to compose, edit, notate, process, transcribe, and analyze digital audio and music notation. Applications include Sibelius, Finale, Logic Pro, Abelton Live, Max/MSP, Audacity, Amadeus Pro, and more. The info sessions will provide an overview of the software and some examples of projects that can be done using these tools, as well as information on further resources and tutorials for learning more. If the dates above don’t work for you, and you’d like to be notified of future sessions, you can also indicate that using the form at the link above. Hope to see you in the Lab! This entry was posted in Digital Music Lab, Trainings and tagged Digital Music Lab, Trainings on March 20, 2013 by Nick Patterson. The Computer Music Center at Columbia University presents a week of lectures, concerts, and workshops, “Ghost in the Instrument: Aspects of Musical Research and Composition“. The event is on the occasion of the 10th anniversary of the PRISMA International Forum. All events are FREE and open to the public (registration is required for the software workshop). The festival will include talks and concerts by Jean-Baptiste Barriere, Jacopo Baboni-Schilingi, Christopher Trapani, Hans Tutschku, Fred Lerdahl, Carlos Agon, Phillippe Esling, Johannes Kretz, William Goufreind, Julien Vincenot, Jaime Oliver, Greg Taylor, Mika Kuuskankare, Maeve Sterbenz, Zosha Di Castri, and more. Several current and former Columbia composers are featured. On Friday 3/23 and Saturday 3/24, concerts will take place at Prentis Hall and at Miller Theater. There will be a workshop on PWGL software on Sunday 3/25 (registration is required). For full details on the programme, please see the web site for the festival, at http://music.columbia.edu/cmc/musicalinteractivityfestival/Programme.html. The schedule for performances is at http://music.columbia.edu/cmc/musicalinteractivityfestival/Performances.html. This entry was posted in CU Community Performances, Digital Music Lab, Events, Faculty, Music Technology and tagged CU Community Performances, Digital Music Lab, Events, Faculty, Music Technology on March 19, 2012 by Nick Patterson. NPR’s Weekend Edition Sunday ran a brief piece today on Daphne Oram, a pioneer of electronic music in Britain in the 1950s. 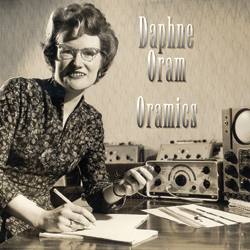 Oram worked as Director of the BBC’s Radiophonic Workshop, and developed her own system/technique called “Oramics”, which involved painting waveforms and control signals on film, which was then used to control the exposure of photoelectric cells to light as the basis for synthesis. 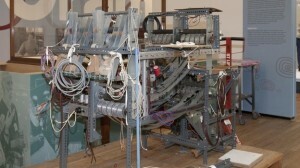 The machine pictured on the left was discovered a few years ago in a shed in France; it’s now on display at an exhibition on Oram at the Science Museum London. You can listen to some music of Oram’s here and here, to get started. Her music is scarce on CD, but there is a 2-CD set out on Paradigm Records. This entry was posted in Digital Music Lab, Music Technology and tagged Digital Music Lab, Music Technology on October 9, 2011 by Nick Patterson. Learn more about the Digital Music Lab! Want to learn more about the Music & Arts Library’s Digital Music Lab? Attend an info session in October! The Lab is designed to enable users to play, compose, record, scan, notate, edit, program, and analyze digital music, audio, and musical notation. Three sessions will be offered, providing an overview of the resources of the Lab, and highlighting some sample projects. Software includes Finale, Sibelius, Logic Pro, Audacity, Amadeus Pro, Max/MSP, Ableton Live, Audiosculpt, OpenMusic, Transcribe!, MacGamut, and more. The Lab also offers 2 digital pianos, equipped with MIDI interfaces to capture performances at the keyboard and to input music notation, and a large-format (11″x17″) scanner. Registration is required. To register, go to this link. If you’re unable to attend these sessions, but would like to be notified of future sessions, or schedule a consultation on any of the resources of the Lab, please email us at musiclibrary@columbia.edu. This entry was posted in Digital Music Lab, Trainings and tagged Digital Music Lab, Trainings on September 22, 2011 by Nick Patterson. 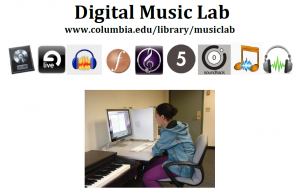 The Music & Arts Library is pleased to offer the Digital Music Lab, a space featuring 4 Mac workstations, 2 digital pianos, an 11″ x 17″ scanner, and a suite of specialized software, allowing users to to play, compose, record, scan, notate, edit, program, and analyze digital audio and music scores. A full list of equipment and software is available on the Lab home page. Expert help is available from library staff (you can schedule a consultations in advance, at the email address below). We welcome your thoughts and suggestions! Please contact us at musiclibrary@columbia.edu with any comments, or if you wish to share details of any projects you’ve done in the lab (we’d like to feature interesting projects on our web pages). 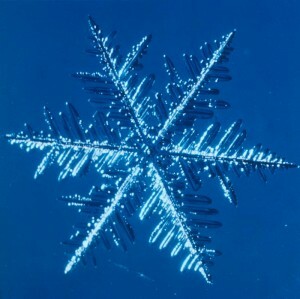 This entry was posted in Announcements, Digital Music Lab, Equipment, Music Technology and tagged Announcements, Digital Music Lab, Equipment, Music Technology on November 14, 2010 by Nick Patterson.